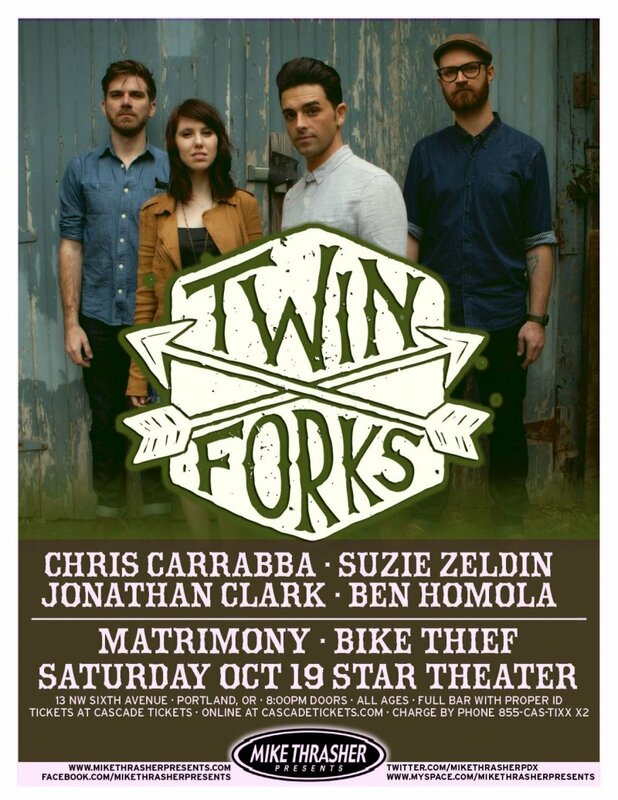 This TWIN FORKS gig poster is rare. It's very hard-to-find as it's a promo only available at ticket outlets and music stores to promote their concert. CHRIS CARRABBA of DASHBOARD CONFESSIONAL is band's lead singer. Warm-ups MATRIMONY and BIKE THIEF are listed.